For our final banking-related segment, let's look at DIY investing. Disclaimer: You know the risks. Compared to the US, day traders and DIY stock portfolio designers are very much in the minority. Traditionally, the stock market has been viewed as an excessively risky gamble best left to professionals and large banking trusts. Most banks and individuals with significant savings tend to invest in Certificates of Deposit (CODs), low interest Japanese government bonds, or managed trusts. However, thanks to the internet, this is beginning to change. Many companies such as SMBC, rakuten, SBI, and the like have identified Japan's anaemic personal stock holdings as a growth market and have been aggressively pushing their own online brokerage services much like eTrade, Ameritrade, and so on. Therefore, getting into the trading game is as easy as setting up a trading account. Much like opening a bank account, you have to first apply on-line, then fill out the physical forms that are mailed to you, give a valid Japanese ID, and personal seal. Japanese personal investment banking is limited to those with residence in Japan. Stock trading is no simple business even in ones native tongue, so if you plan to invest money then you had best be prepared to do everything in Japanese. Thus far, there are no fully on-line English language stock trading sites. Also, make sure you understand the brokerage site's commission structure (i.e. service fee per trade, types of trades available, and so on). It may be a smart move to look for brokers who will allow small trades (less than 100 shares) since it will let you get some trading experience without excessive risk. AccessJ can recommend Monex, but its best to find the broker with the services that match your trading habits. Also, as a foreigner in Japan you probably will have a hard time buying on margin (getting money from the broker to use as collateral for securities) and/or you will be assessed a very high maintenance margin. Margin buying is assessed separately much like a personal loan. Finally, be prepared to report income and losses from securities to the tax man. Due to the complexity of security trading, this can be a daunting task. If you are a heavy trader, you might want to consult an accountant (zerishi 税理士). 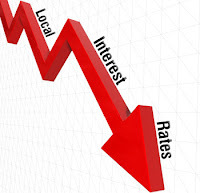 One of the biggest reasons for wanting to invest your money is Japan's generally stingy interest rates. Japan's independent central bank lists average interest rate on ordinary deposits as 0.020 percent per annum with the highest rates found on CODs from big city bank, sometimes climbing as high as 0.178 percent per annum for large long term deposits. Like interest earned on securities, your measly profit from bank interest is also taxed. If you are the proactive type, you can open up an investment account, or follow our handy guide to CODs and saving accounts.